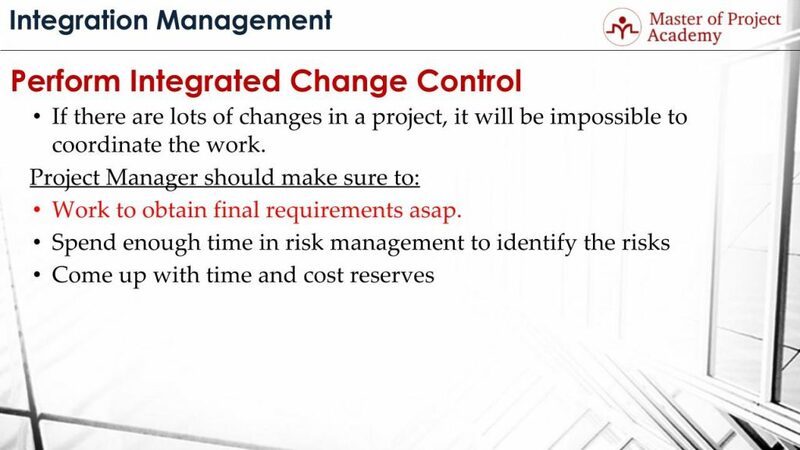 Perform Integrated Change Control is an important process of the project integration management. In a project, there will always be change requests. These changes will be evaluated by the change control board. Afterwards, if the change requests are approved, they will be implemented. The changes in a project are accepted, rejected or handled in Perform Integrated Change control process. From submission of a change request until its implementation and closure, perform integrated change control process ensures the successful change management in a project. In this article, we are going to have a detailed look at the Perform Integrated Change control process. What is done during the Perform Integrated Change control process and what are the tips for implementing a good Perform Integrated Change control process? 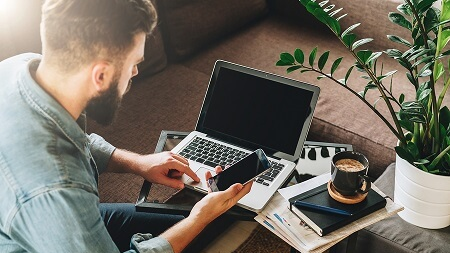 If you want to test yourself about the Integrated Change control process in project management, you can find sample PMP exam questions to assess your knowledge. Let’s see an example for perform integrated change control process. As you know, a change in one of the project constraints should be evaluated for impacts on all of the other constraints. Let’s consider that you are managing a software project. And let’s assume that the database of the project stores the members as account ID, name, and surname. If a change request asks to change the name and surname orders in the database, this might be a very small change from the perspective of database work. But if there are lots of other parts in the software which is depending on this name and surname order, they will be affected so changes might be required on those parts as well. 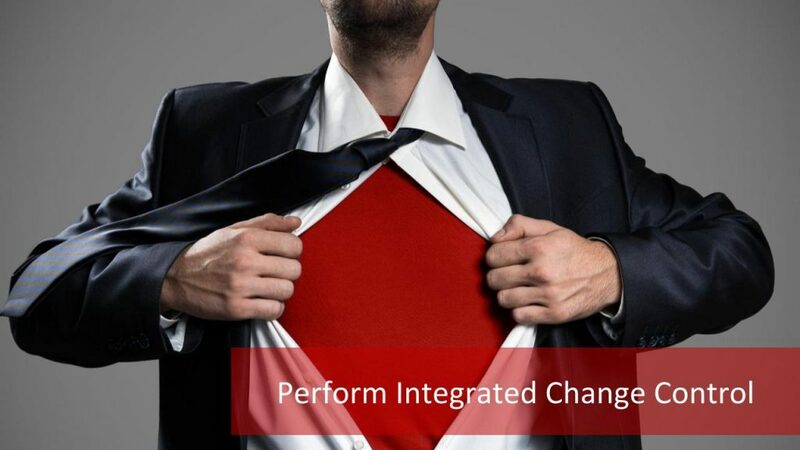 Perform integrated change control process aims to evaluate the impacts of a change end-to-end. Now let’s view how to perform a great integrated change control. How to Implement a Solid Integrated Change Control? In order to evaluate the impacts of a change, it is necessary to have Realistic Project Management Plan and a complete product and project scope. Because only a complete project management plan and scope can include the interdependencies of activities or components of a project. With the help of these complete plans and scope, impact of a change can be evaluated properly on other parts of the project, in the Perform Integrated Change control. Generally, the project manager should prevent the root cause of the need for changes. Because frequent changes cause frequent updates and revisions in the plan and this requires rework. Project targets and dates generally change by implementing a change request in the project. If the project objectives and target dates are changing too frequently, this might cause demotivation in the project team as well. It is expected that companies have established procedures in the Perform Integrated Change Control process for managing and controlling changes. Evaluation of a change and implementation in a project is a complex procedure. 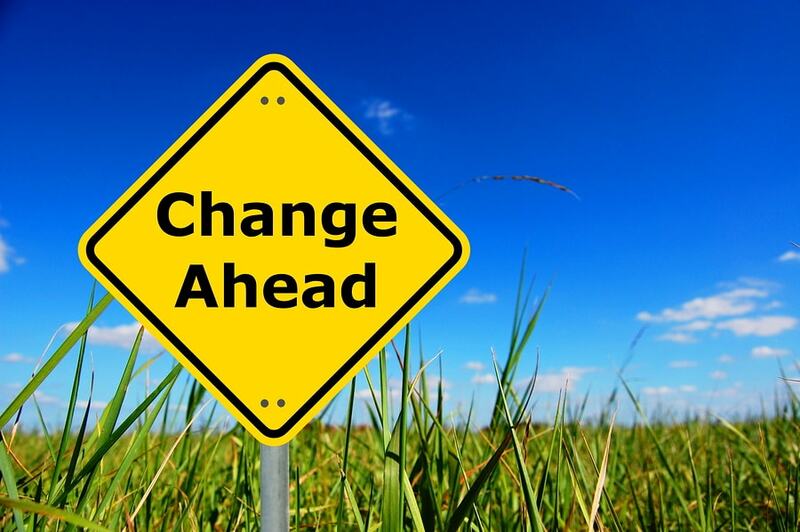 How to evaluate a change, how to analyze the impacts, steps for approving a change, how to implement an approved change etc. must be documented by processes, policies, and procedures as a part of Perform Integrated Change Control process. If there are lots of changes in a project, it will be impossible to coordinate the work. Lots of change requests mean either the planning was not properly done or requirements could not be gathered and addressed properly. Because change requests come from the customers or if there is a variance in the project. If there are lots of change requests in a project, requirement evaluation and planning should be overviewed. Otherwise, it would not be possible to implement a good Perform Integrated Change Control process. 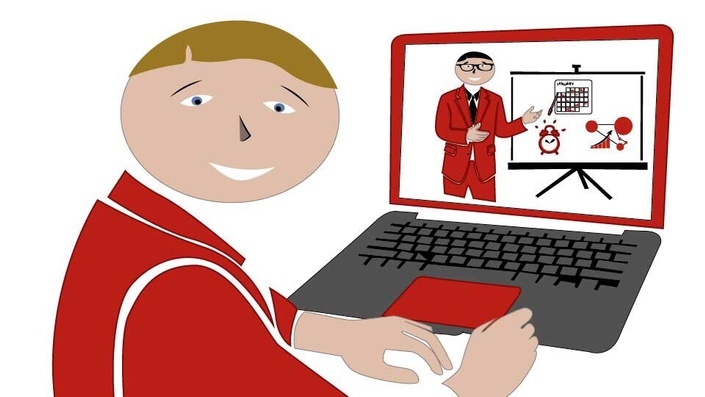 What is the Role of the Project Manager in Perform Integrated Change Control Process? Work to obtain final requirements ASAP: This is a very critical factor of the Integrated Change Control Process, for the success of a project. Because requirements are foundations of the project scope. And once the project scope is determined, project planning process starts. Therefore, incomplete or improper requirement gathering will cause an incomplete and weak planning respectively. And the result will be several change requests during project execution. Spend enough time in risk management to identify the risks: Because risks are the primary causes of variances in a project. Each risk might be identified during the planning process and a response strategy for each risk must be addressed. By this way, once a risk occurs, the way to accommodate the impacts of risks will be ready and this will reduce the level of variances in a project. 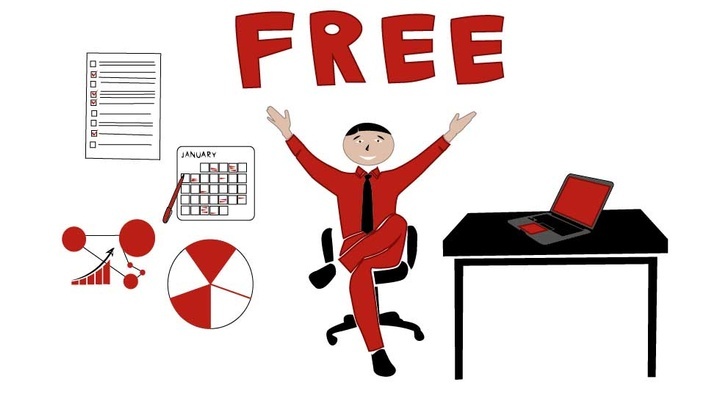 Come up with time and cost reserves: Once you planned the project and completed the budget plan, the schedule plan etc., you should bear in mind that actual results will not be as same as you planned. Especially if risks occur, these will cause additional costs and delays in projects. Therefore, once the planning is complete, the project manager should also plan time and cost buffers for the impacts of risks. 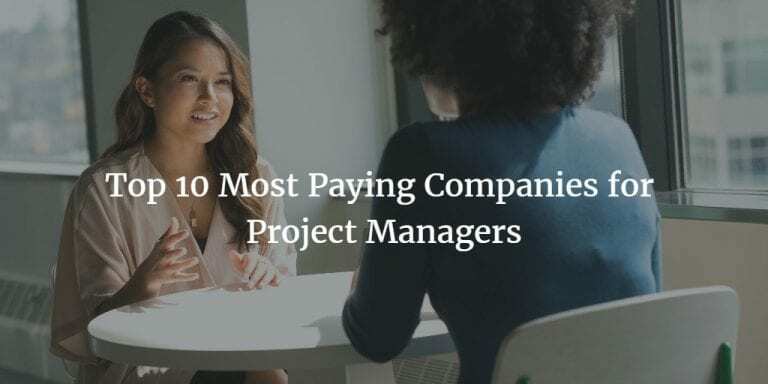 For instance, if a project will be completed in 1 year with a 1-million-dollar budget, time reserve for this can be 2 months and budget reserve can be 1 hundred thousand dollars. These cost and time reserves should be included in the final project plan. 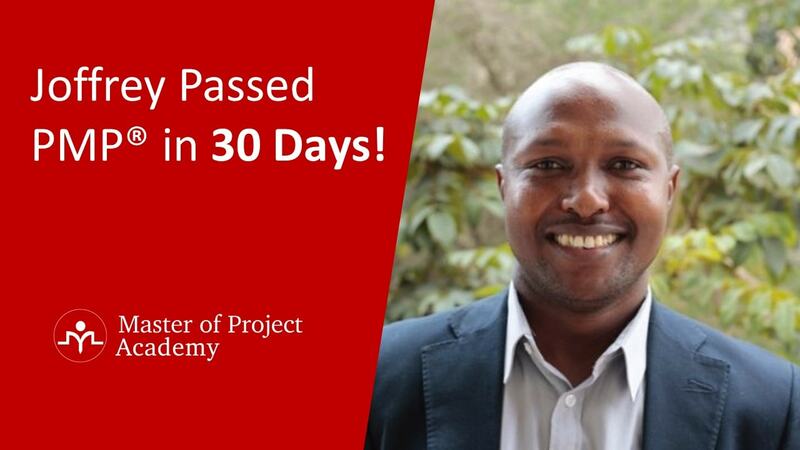 The project manager must have a process in place to control changes: Changes are inevitable in projects and how to submit changes, how to evaluate, how to approve and implement these changes must be clearly documented in processes. 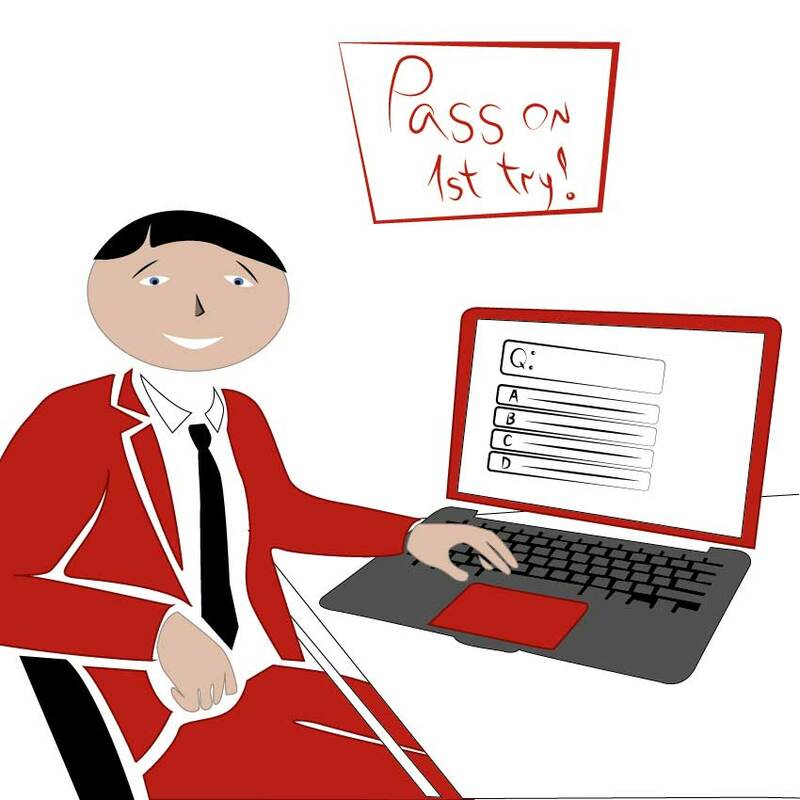 Which processes should be followed in Perform Integrated Change Control? While managing, coordinating and implementing changes, these four processes must be followed in the Integrated Change Control, to complete a change successfully. Submitting a change request might require a certain set of information to be provided. For instance, initiator of the change request, reason of the change, impacts of change, history and flow of approval etc. This information should help a better perform integrated change control process because it will be required for each change request. So having a template will ease to submit and progress changes in a project. Changes are evaluated by change control board but there can be different approval levels. In each level approval of different stakeholders might be required in the perform integrated change control process. For instance, first level analysis and approval can be given by the engineers, 2nd level approval can be given by the senior managers, 3rd and the last approval can be required from the project sponsor. These must be cleared out to manage changes smoothly in a project. 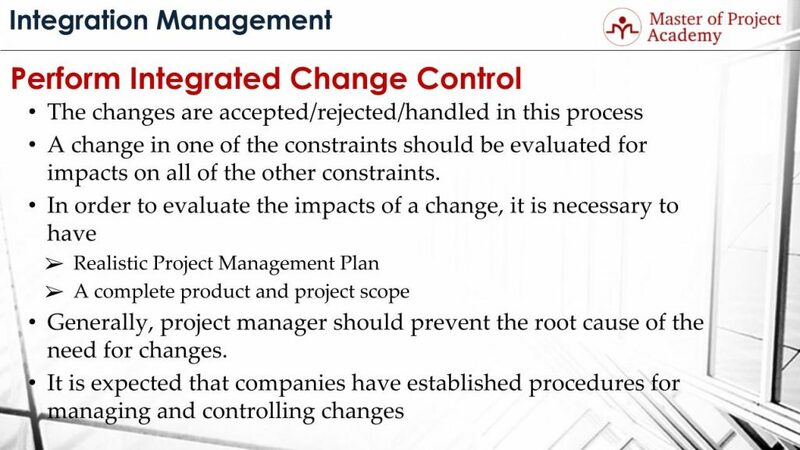 Perform Integrated Change Control Process #3: Project must initiate the re-evaluation of the business case if the number of changes becomes excessive. Lots of change request will occur if the requirements analysis and requirements management plan or the project planning was not done properly. Since the business need is the initiator of a project, and the source of requirements, in case there will be lots of change requests in a project, the business need that caused the project initiation must be re-evaluated. 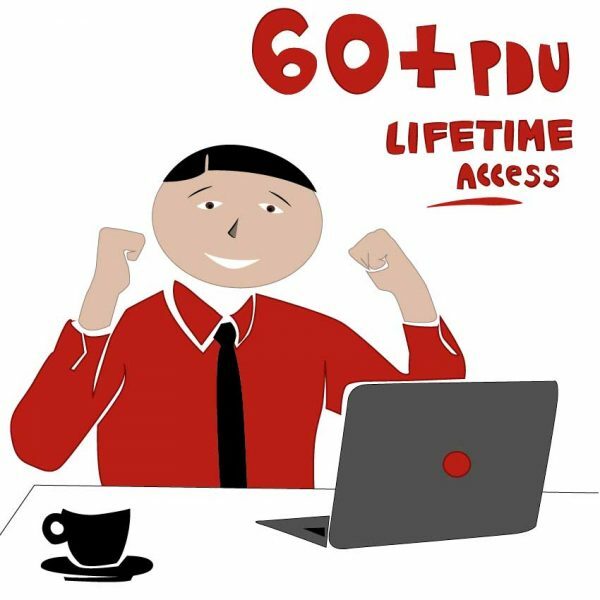 After evaluation of the business need, you can consider terminating a project that has excessive changes and starting a new one with a more complete set of requirements. Lots of changes in a project will cause to lose track of the project, demotivation of team members due to frequently changing objectives and problems in performance measurement as well. Therefore, if there are lots of change requests in a project, terminating the current project and re-initiating a new project that will have concrete and complete requirements will be more reasonable according to the Integrated Change Control principles. 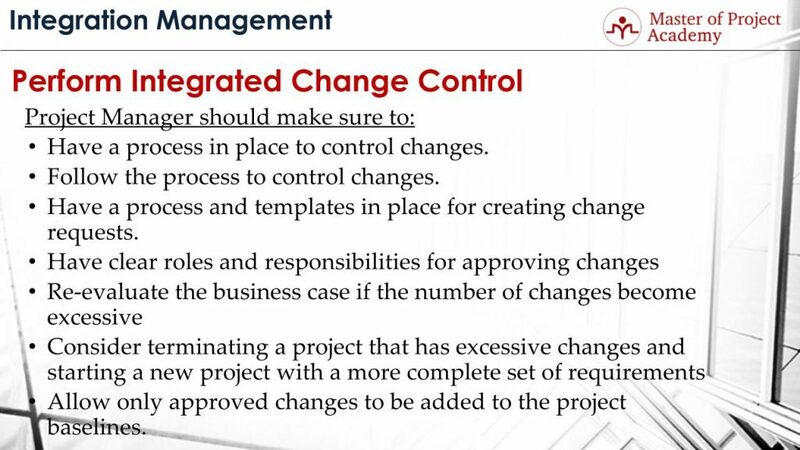 Perform Integrated Change Control Process #4: Project manager must allow only approved changes to be added to the project baselines. There can be several change requests in a project but after the evaluation of change control board, many of them might be rejected. Only approved changes must be implemented in a project. Also, only approved changes should be reflected in project plans, project documents, and project baselines. We have seen the Perform Integrated Change Control Process in a detail. In short, Perform Integrated Change Control Process aims to prevent the failure of the project due to the poorly managed change requests. If you have a strong Perform Integrated Change Control Process in your project, you will not be affected by the variances or the changes during the project life cycle. To learn more about Perform Integrated Change Control you can consider enrolling in a CAPM training. Monitor and Control Project Work Process: Are You On The Right Track?